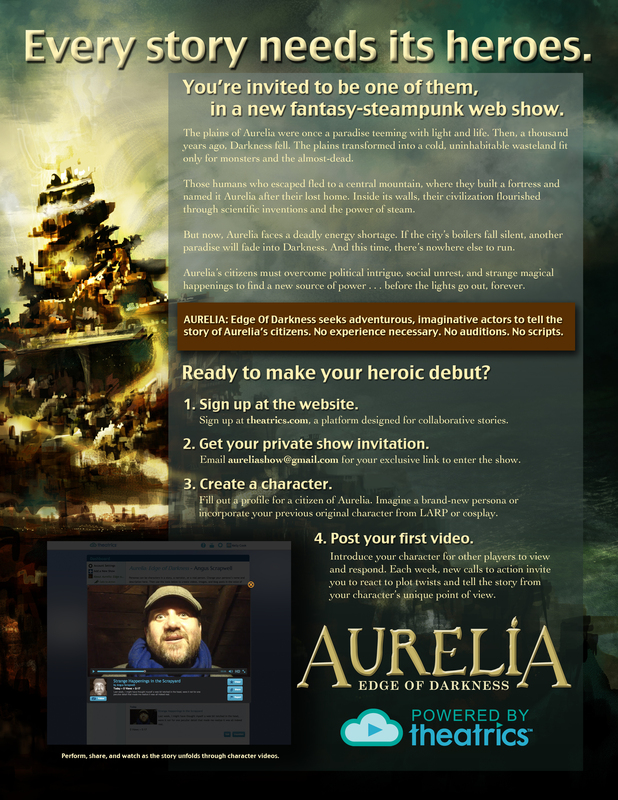 Only four days until Aurelia’s beta episodes launch! The beta show will be private—so email aureliashow@gmail.com for your invitation link. Last week was a flurry of preparation at Aurelia: Edge of Darkness. Lisa gives the weekly update and shares info on the upcoming beta launch . . . and how you (or a would-be actor you know) can participate in telling the story. Check out our makeshift interrogation room! 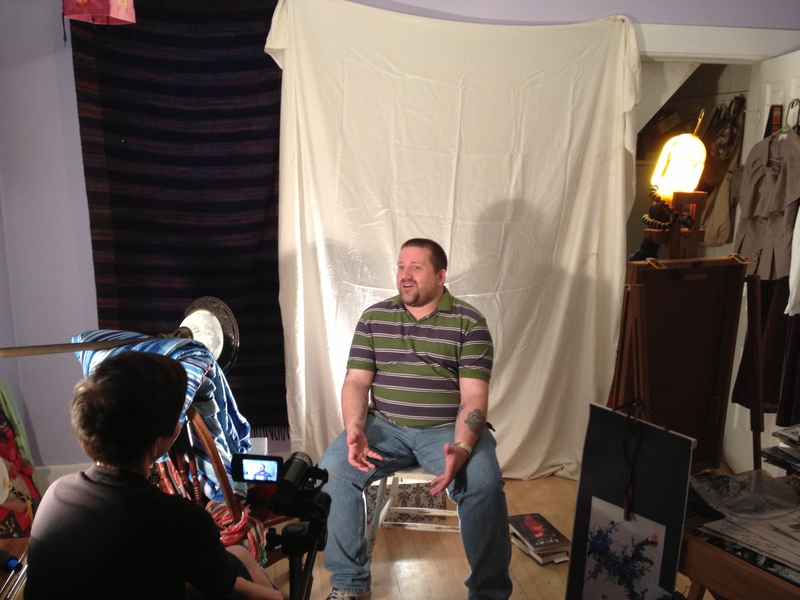 This week we shot our first interview videos for Aurelia: Edge of Darkness. While we have a few kinks to iron out (figuratively and literally! ), we learned a lot and captured some great content. Here’s a peek behind the scenes of our fantastic, mid-process mess as character coach Kelly Cook shares tips for a great acting experience. Photo by Peter Henckel. “I am an Illustration Major and recent graduate from the Milwaukee Institute of Art & Design, 2013. I possess a wide variety of artistic disciplines that include traditional 2D media, graphic design, model building and digital rendering. 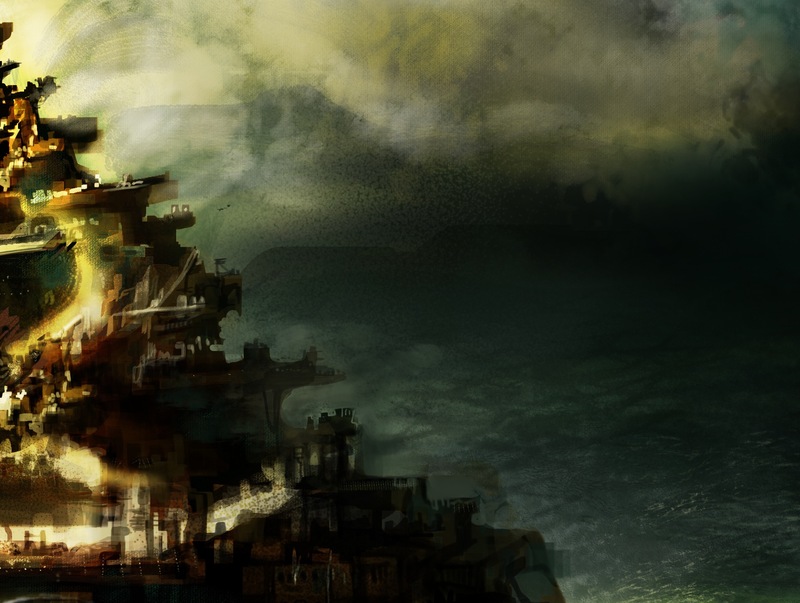 My passion lies in landscapes and conceptual worlds, often mixed with architecture and the human form. 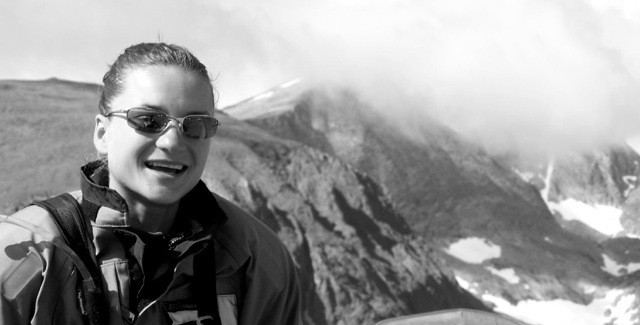 I am an avid hiker and backpacker. I find much of my inspiration and ideas by exploring the unbeaten paths buried within our beautiful National Parks. 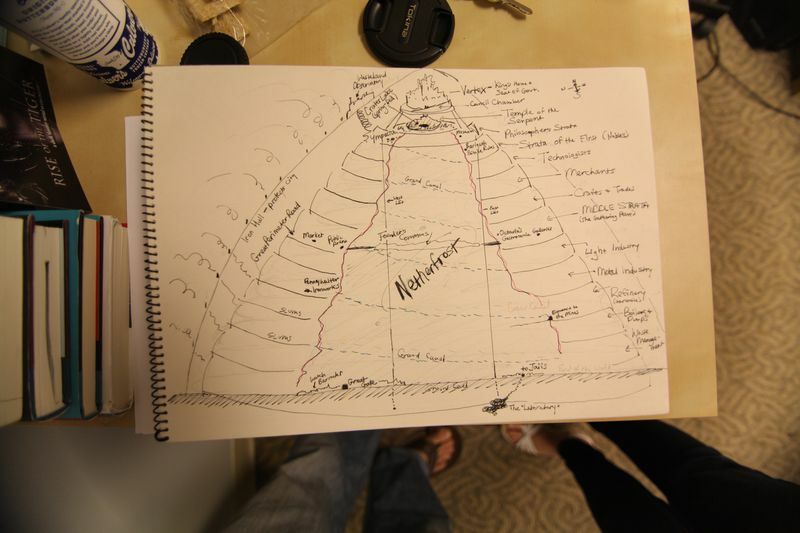 Milwaukee artist Allison Westbrook is hard at work on a beautiful map of Aurelia. But until then, here’s a peek at the sketch I (Lisa) recently did to give Allison a sense of some of the major landmarks he’ll need to cover inside the city. This is how everything creative starts: with a sketch, an idea, a messy collection of “maybes” that turn into something beautiful. Thankfully, we have Allison’s talent on hand, to turn this chicken scratch “maybe” into a “something” work of art.